Create self signed rootCA Certificate for CA Server. Create Certificate Request for the Apache and IIS Server. Sign the Request by RootCA. Config the server Apache and IIS with signed Cert. 1. Create self-signed rootCA Certificate for the CAserver. Check if the CAserver has installed openSSL package. if not, you can install it by yum command. Generate the PrivateKey for rootCA. Generate the self-signed-rootCA-Certificate with the upper privatekey. This cert will valid for 10 years (3650 days). Let's check the information of the rootCA Cert. The issuer and subject entry are identical. So we've got two needed files for CAServer. 2. Create Certificate Request for the Apache and IIS Server. Generate PrivateKey for the Apache Server. Generate the Certificate-Request-file for the Apache Server with the upper privatekey. See the information of the Apache Request file. So we've got two needed files for ApacheServer. We will use the environment of openssl tools on ApacheServer to create required file for IIS Server. You can also install openssl for windows on IIS server insteads. Generate PrivateKey for the IIS Server. 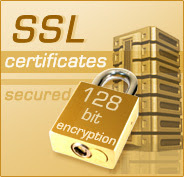 Generate the Certificate Request file for the IIS Server with the upper privatekey. See the information of the IIS Request file. So we've got two needed files for IIS Server.